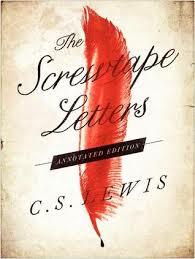 This week I started reading “The Screwtape Letters.” It’s a fantastic fiction novel written by C.S. Lewis. In the novel, C.S. Lewis claims to have found letters from a Senior Demon to his nephew, a junior tempter. The senior demon, Wormwood, instructs his nephew how to better entice and misdirect a young British man. The novel really gives great insight into how we are potentially attacked on a daily basis on many different levels. I’ve pondered recently how to balance being humble with the fact that we are so special to God. There are endless passages in the Bible describing how precious we are to God. 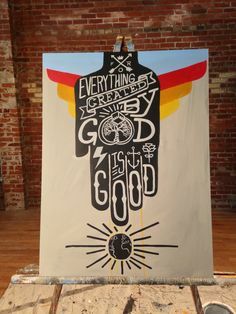 Everything God has created is GOOD. Not MOST or SOME things God created are good. The Bible says Everything created by God is good. We are described as treasures to Him, His friend, and His children. Treasures are precious and invaluable. Friends are people who are close to us and we share our joys and life experiences with. We pour out our hearts and sacrifice everything we have for our children. We hope to pass the best of ourselves to our children. How do we reconcile this with being humble? If God supposedly sees us as “so special,” how are we supposed to be humble? If you hear day and night how awesome you are, how do you fully believe and accept God’s promise as truth while still remaining humble? The thoughts in my head are very contradictory. Here’s where my thoughts were stuck at: Being humble must mean degrading yourself just enough, but still believing you are loved. That is WRONG. Being humble is not self-loathing to any extent. Being humble is self-forgetfulness. It’s not about downing yourself everytime you think something nice about yourself. It’s about accepting God’s truth that He speaks to us, and then directing our thoughts toward sharing that with others. He wants us to think great thoughts about ourselves and all of His creation at the same time. No competing with one another, only celebrating God’s awesomeness in creating tons of awesomeness. Imagine you’ve been invited by the world’s most renown chef to a banquet of exisquitely prepared dishes. There are thousands upon thousands of foods to taste. You’ve been gifted with the ability to try everything without ever getting full or gaining any weight, so you are able to try every single delicacy there. As you try the first dish, the distinct flavors combine effortlessly on your tongue. It’s so delicious and it’s so unique, you can’t even determine one ingredient in this dish. Good thing you aren’t being quizzed on this. You’re only job is to enjoy. You tip your hat to the chef, and move on to the next dish. This one is equally enjoyable, but the impression this food leaves on your palate is more cool, calm, and sweet. You relish each course you try, as they are all equally pleasing in unique ways. The moment you are done with one food, you are completely wrapped up in the taste of the cuisine that follows. One dish doesn’t take away from the next. The chef stands in the background and you can’t help but continuously praise His expertise, proficiency, and mastery. Wouldn’t it be ridiculous if the food started quarelling about which dish was better? What if the food started arguing with you about if it tasted good? Can you imagine the food bragging and boasting about itself? No, the food would be content to be enjoyed. It would be glorifying the chef right along with you for all the amazing foods around it. Self-forgetfulness. Although comparing humans to food with God as the chef isn’t a perfect analogy, it serves its’ purpose for this particular discussion. How to balance thinking highly of ourselves and remaining humble at the same time. Have you ever struggled with humility? I’d love to hear if what you have to say, please comment! I’ve likened it before to clay. As the Bible says, He is the Potter. It would be like a carefully made clay pot, smoothly molded to hold soil and a plant, and an intricately crafted urn shaped to hold nothing more than a single rose arguing with the potter about their respective designs and purposes. Each are beautiful, perfect and utilitarian in their own way, made uniquely to serve the potter’s vision. Humility comes in recognizing your uniqueness and beauty, and serving that purpose for which you are designed. Thank you for your input Susan. You are so right! Awesome! Thanks for your input! To be “Poor in Spirit”, to have true humility is to understand how great God is and how sinful you are. It is to understand that in every way you are unworthy. God is so far away from us, so other than us, that we need a mediator. That mediator is Christ. Christ paid the price for sin, and that price was death. Everyday I am worthy of only that death, but Christ paid that price for me. Not only did he pay that price for me but he gained heaven and adoption for me as well. True humility is understanding it is none of me, but all of Christ. Like the story of the Pharisee and the Tax Collector in Luke 18: 9-14. “Have mercy on me a sinner.” The greater God is and the more you understand your sin, the mightier salvation becomes leaving no room for self, and no room for pride. The Screwtape letters is an awesome book. I hope you enjoy it! Thanks for sharing! Agreed on all. God is so awesome! We are beyond blessed. Also, thanks for the follow! I followed you back. 🙂 I look forward to encouraging one another! Everyday is a struggle, not that I have anything to boast about, but because living for myself is so much easier than submitting to God. Humility is something that we all could use more of. Great quote by Lewis! Thanks for the follow and I look forward to following your blog as well! Thanks for following! Your blog is really cleanly organized and your posts are really easy to follow. Great content as well! p.s. Cs Lewis is mind-blowing! Thanks for the feed back, I enjoy following people and their stories on their own journey of faith. I love that book! I feel like as I read it, I was looking into a mirror and noticing so many blemishes. You’re a great writer 🙂 Keep it up! Thanks a lot! When people say things like that, it makes me feel so good! I agree, there is so much insight to be gained in CS Lewis novels’! Take a look at Taylor Caldwell’s 1967 novel: Dialogues with the Devil, which is conversations between Lucifer and the Archangel Michael. You might enjoy it. Just bought a collection of works for C.S. Lewis and can’t wait to dive in! Very nice! I bought that as well and am really excited about “Mere Christianity” and “A Grief Observed”….CS Lewis and Ravi Zacharias got me hooked on some apologetics lately! God bless! You will fall over yourself reading Mere Christianity!!! Wonderful post and well written! For me it always goes back to my relationship with God. Am I fostering a nurturing, deep and intimate relationship with Him on a consistent basis? From there all of God’s characteristics flow. It is a daily choice to allow the Holy Spirit to lead us. Thank you for the follow, I look forward to reading more of your blog. I’ve always considered humility to be akin to false modesty, a characteristic I have long thought to be extremely irritating. Obviously as an atheist, I’m seeing this from a different perspective, but nevertheless I can’t help thinking that being proud of any personal achievement is perfectly natural and should be encouraged. Keep the faith, and may your God go with you. LOVE The Screwtape Letters. One of those books that will change your life. C.s. Lewis is truly a blessing! Great post! I’m a new blogger and am learning a lot from you and others by just observing how you do it. I’ve been interested in Timothy Keller, and adding you into the mix I think it’s finally time to take the initiative and check out that book. Thanks for the recommend! I also just began reading Screwtape Letters and I must say reading a single page or so always starts an exciting thought pattern. I really have to revisit my thoughts on Human virtue and vice each time I open that book. Thanks for your comment! C.s. Lewis is so thought provoking! Pingback: Day 291- Write Mortal, Write! | Amy Who? “Celebrate God’s awesomeness,” you say. That’s a good way to combat pride right there. Any shred of awesomeness manifested in my life is the direct result of God’s work through me. If I turn every prideful thought into praise, humility will have a chance to flourish! Thank you very much for becoming a follower of my blog. I am honored you find the posts meaningful.